New Delhi: After months of searching for an investor, cash-strapped Fortis Healthcare said its board has unanimously accepted a binding offer from Malaysia’s IHH Healthcare Berhad to invest Rs 4,000 crore in it by way of preferential allotment at Rs 170 per share. On July 3, the company received two binding proposals from IHH and TPG-Manipal consortium but Munjals-Burmans combines, which had earlier become the preferred bidder, and Radiant Life Care had backed out. In a statement, Fortis said under the accepted offer, IHH would infuse Rs 4,000 crore through subscription to the preferential allotment at a price of Rs 170 per share. The Malaysian firm will then make a mandatory open offer to public shareholders for 26 percent of the outstanding shares post issuance. The “proposal provides for refinance of debt to the extent of Rs 2,500 crore”, the company said, adding funds infused would be used towards completion of the acquisition of assets of RHT, SRL private equity minority shareholders and short term liquidity needs. A mandatory open offer for public shareholders of Fortis Malar Hospitals Ltd would also be made at a price as determined under Regulation 8 of the SAST Regulations, the company added. The company said its Board considered merits of both the binding bids and took into account recommendation of its Financial Advisors (Standard Chartered Bank and Arpwood Capital) and the legal advice from Legal Advisors (Luthra & Luthra Law Offices and Cyril Amarchand Mangaldas), in approving IHHs offer. The process was relaunched on May 29 and has been conducted in a fair, time-bound and transparent manner, he added. “The release of the Audited FY 2018 financial statements was a key milestone in underpinning the overall success of the transaction,” Rajagopal said, adding the board looked “forward to continuing the dialogue with our shareholders ahead of the EGM to approve the transaction”. Fortis said its board chose the offer from IHH after considering all key parameters such as significant primary funds infusion at highest available bid price (Rs 170/share) and sufficient funds commitment for future requirements. The offer is at 20 percent premium to current market price, it said, adding the IHH proposal offers significant deal certainty given a simpler transaction structure and requirement for fewer approvals and a shorter timeframe. It also provides an exit opportunity for shareholders through the open offer, in case they desire, Fortis said. IHH’s proposal also offers potential to achieve scale driven synergies on operational and financing front integrates Fortis into a large global healthcare platform with potential synergies, it added. The newly reconstituted board of Fortis had on May 29 initiated a fresh bidding process to meet FHLs long term and short term objectives. 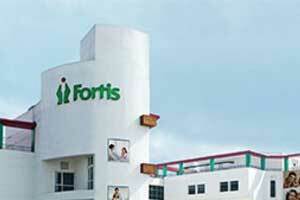 The diligence access and management interaction was offered to all the four bidders, Fortis said.